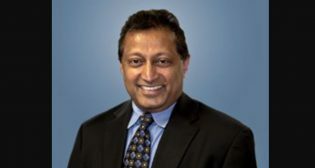 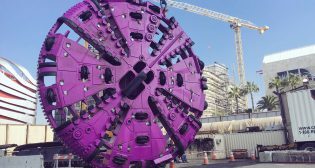 Three transit and commuter rail projects in North America are among the most significant infrastructure projects on earth, according to advocacy group CG/LA. 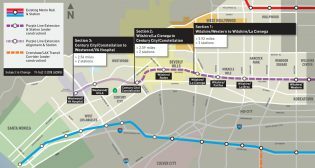 The Los Angeles County Metropolitan Transportation Authority (LACMTA) has launched tunneling work underneath Wilshire Boulevard and La Brea Avenue. 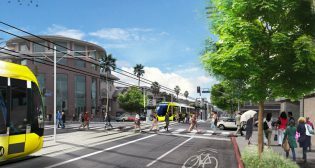 The Metrolink Board of Directors has appointed Pam O’Connor, a Santa Monica city councilmember, as an alternate director. 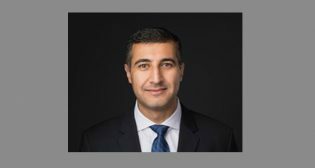 HNTB Corporation has brought on Walead Atiyeh to serve the firm’s national rail systems team as project manager. 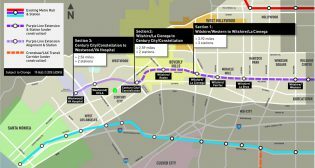 The Los Angeles County Metropolitan Transportation Authority (LACMTA) Board has approved a 9.2-mile, at grade, light-rail option as the Locally Preferred Alternative (LPA) for the East San Fernando Valley Transit Corridor. 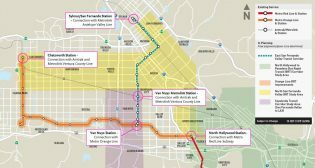 Los Angeles County Metropolitan Transportation Authority (LACMTA) have selected a 9.2-mile, at grade, light-rail option as the Locally Preferred Alternative (LPA) for the East San Fernando Valley Transit Corridor.